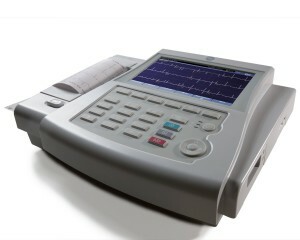 The MAC® 800 enables healthcare providers to connect the hearts of patients to the minds of physicians with accurate and reliable ECG information for faster, more confident diagnosis. The MAC 800 gives you the power of easy-to-use, advanced ECG technology, multiple ways to store and send data, and the proven GE Marquette® 12SL™ ECG analysis program. Now you can provide expert ECG analysis to patients across the room or across the globe.